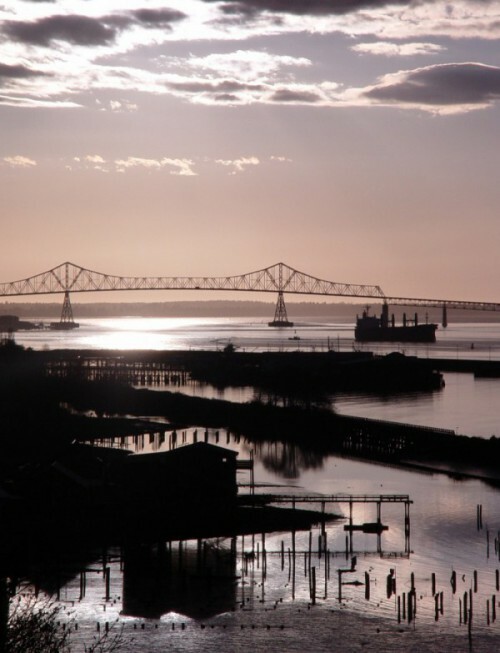 Since 2002, I’ve lived in Astoria, Oregon, at the mouth of the mighty Columbia River. This port was founded in 1811 by the Astor expedition, making it “the oldest American settlement west of the Rockies.” In 2007, I made my contribution to the area’s history by organizing an assortment of fish-processing equipment and fishboat gear into the Hanthorn Cannery Museum at Pier 39. The goal of this non-profit is to preserve the history and lives of the cannery workers. I was soon voted into the position of chairman in 2008,, and have managed the organization’s affairs since then. In 2014, we were awarded the Clatsop County Cultural Heritage Grant to upgrade lighting, etc. 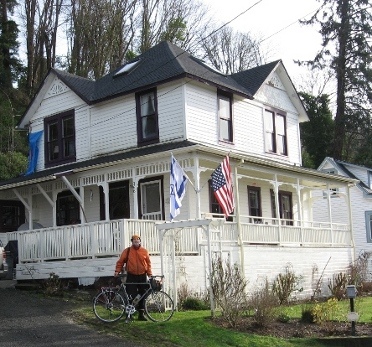 However, in popular culture, Astoria is best known as the location of the film children’s “Goonies.” Fans of the film still come from all over the world, and in 2013, the city held a festival weekend to celebrate the film’s 30th anniversary. The author at the Goonie House in Uppertown on the east end. USCG 47′ MLB training on the Columbia Bar.